TJ Sums up my experience of nine years of the National Party in power. Favorite track: National Guy. Beautiful artwork deserves the 12" cover format. Beautiful performances deserve analog warmth. Get both with Too Many Millionaires pressed on 180 gram virgin vinyl in the Czech Republic by mad ex-communists! Includes unlimited streaming of Too Many Millionaires via the free Bandcamp app, plus high-quality download in MP3, FLAC and more. Specially mastered to retain it's analog warmth this CD comes in a neat little miniature version of the LP cover.
" 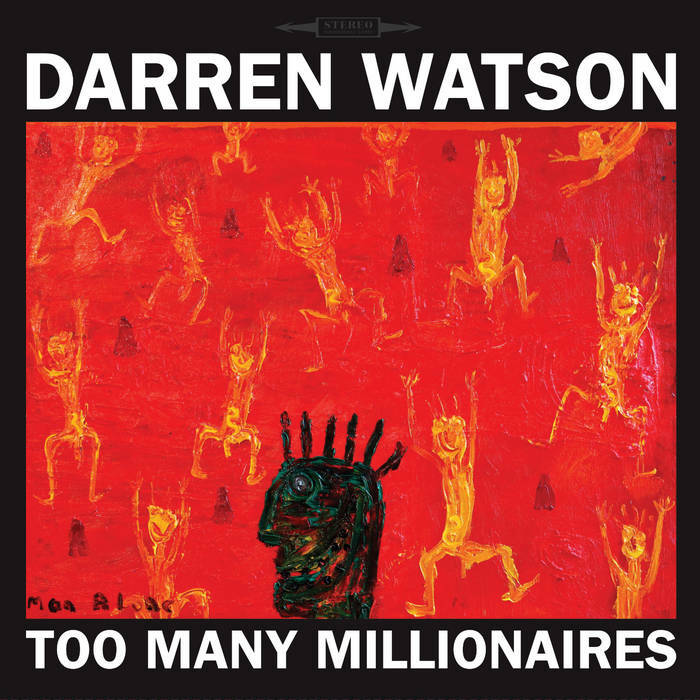 Showing his measured approach to country blues, New Zealander Darren Watson takes on the moneyed class, deceitful politicians and two-timing lovers in the words to his well-drawn, engaging tunes, all eight respectable of tradition without seeming unctuous or archaic. There are, indeed, fresh qualities to his vocals and guitar work, and the resulting warm vibe can suggest Guy Davis’. Locking right into Watson’s dramatic range are the harmonica of Terry Casey and string bass, piano and percussion. " 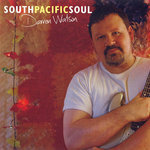 "Anyone who thinks only Americans can authentically sing the blues should listen to this album by the New Zealander Darren Watson. It’s outstanding from beginning to end – the finest acoustic blues CD this reviewer has heard in quite some time." 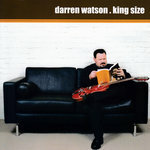 " This is an enjoyable collection of timely tunes, with great performances all around, highlighting Watson’s soulful guitar playing and his powerful vocals. If you’re a fan of country blues done right, I think you might enjoy Too Many Millionaires. I know I did. " 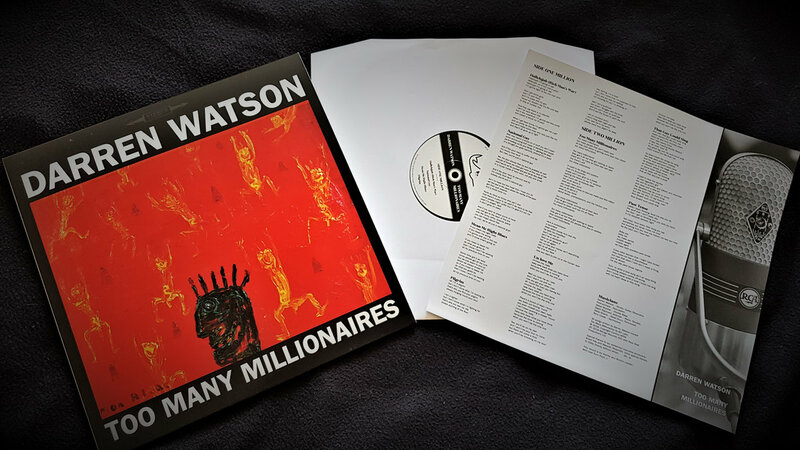 " It’s an approach that might have begun with Muddy Waters’ consciously de-amplified Folk Singer album in the 60s, and with nowhere to hide you can only carry it off you’ve really got the goods, which Watson absolutely has. " " .. a vastly entertaining ramble." " Beautifully packaged on vinyl and CD, it's a great album, thoroughly recommended! " " Watson has something to say and he says it with consummate skill. Fantastic. " Darren Watson's sixth album is far and away his best yet! Sure you'll hear echoes of artists like Elmore James, Muddy Waters, and Robert Johnson but you'll also hear a rapidly maturing songwriter at the peak of his game. Influences like John Hiatt, Lyle Lovett, and of course Wellington genius songwriter Bill Lake come through strongly as well. 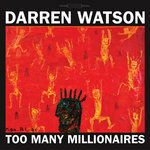 But, more than any previous Darren Watson recording, Too Many Millionaires shows that the veteran of three decades' worth of hard graft - writing, recording and performing the blues in New Zealand - has truly found his own voice. And found a way to make it work inside a finished recording unlike anything he's done to date. Recorded live in the studio by award-winning engineer Lee Prebble, Watson surrounded himself with a talented and sympathetic band. The resulting tracks are pure, intimate magic. Steve Moodie's double bass is always there, solid and propulsive as hell, but never in the way. Dayle Jellyman's piano also traces beautifully around the tunes, never distracting, always adding. And Delia Shanly's percussion is both glue and icing. Check out her doggedly playing straight across the shuffle of National Guy, holding it together when the band starts messing with the groove. Brilliant. Terry Casey on harmonica is a revelation too. Folks like Midge Marsden have been singing Casey's praises to anyone who'll listen for decades. But short of one track on a Chicago Smoke Shop album in 1989 no one has been able to hear the man New Zealand's most famous harmonica player is in awe of. Now we finally get to hear. And what sublime tone, timing, and taste! Plenty of imagination and flights of original fancy too. But mostly just amazing and beautiful TONE! Too Many Millionaires was made to be enjoyed in one sitting. Take the time, put your feet up and you'll be rewarded with the best thirty five minute journey you'll have this year! 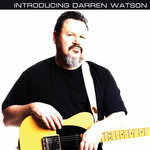 Darren Watson: Vocals, guitar, percussion. Delia Shanly: Bass drum, percussion. Dayle Jellyman: Piano, electric piano. Produced by Darren Watson for Real Deal Productions Ltd. 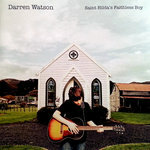 Recorded & Mixed by Lee Prebble at Surgery Studios, Wellington, New Zealand. Mastered by Mike Gibson at Munki Studios, Wellington, New Zealand. Cover painting: Man Alone by Ewan McDougall. 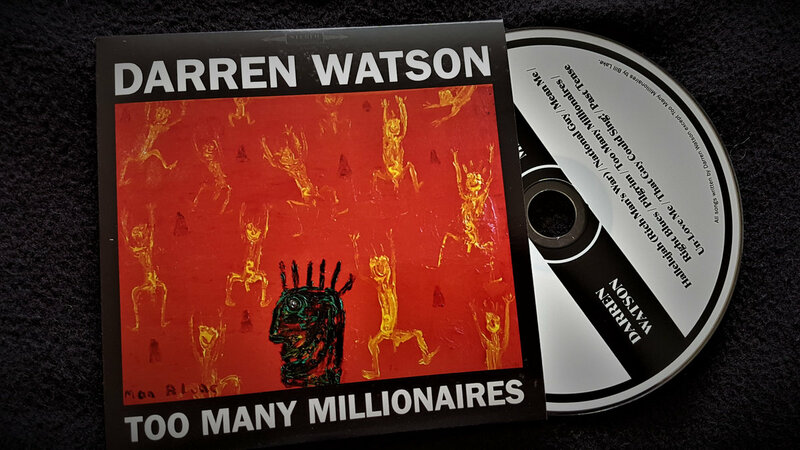 All songs (C)2017 Darren Watson except Too Many Millionaires (Lake). All permissions through APRA/AMCOS.